These are based on the top cross of the Imperial state Crown. The sapphire is taken from a ring reputed to be worn by Edward the Confessor. Original in the Jewel House. This brooch is inspired by the motif appearinng just above the lower band of the Imperial State Crown. This is based on the top cross of the Imperial state Crown. This set of jewellery is inspired by the motif appearing just above the lower band of the Imperial State Crown. V&A Jewellery - Inspired from a cup and saucer manufactured by the Imperial Porcelain Factory in St. 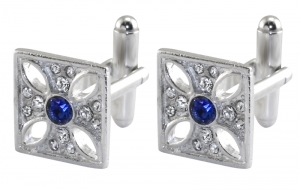 These are based on the top cross of the Imperial state Crown. This ring is inspired by the motif appearinng just above the lower band of the Imperial State Crown.